I’ve recently become quite obsessed with vintage Tootal ties. In a short space of time, my collection has amassed to 26. 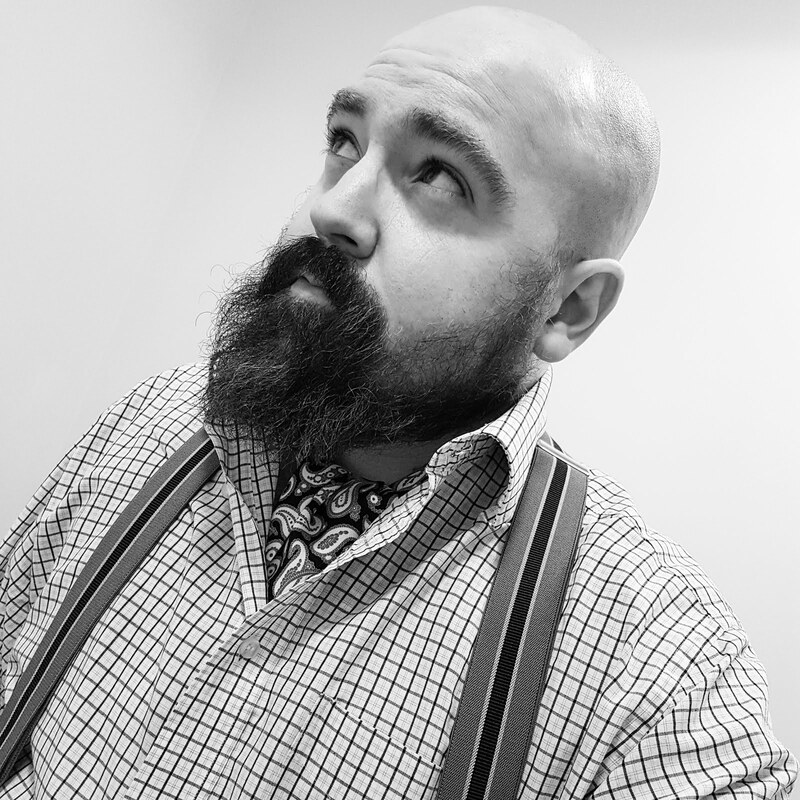 Considering that my entire tie collection previously stood at around the sixty mark and you’ll appreciate that’s quite the increase. You may be wondering what is it that I find so appealing about Tootal. Well, Tootal hails from Manchester so I already feel a close affinity towards it. Founded in Manchester in 1799, they later had a headquarters on Oxford Street in Manchester. 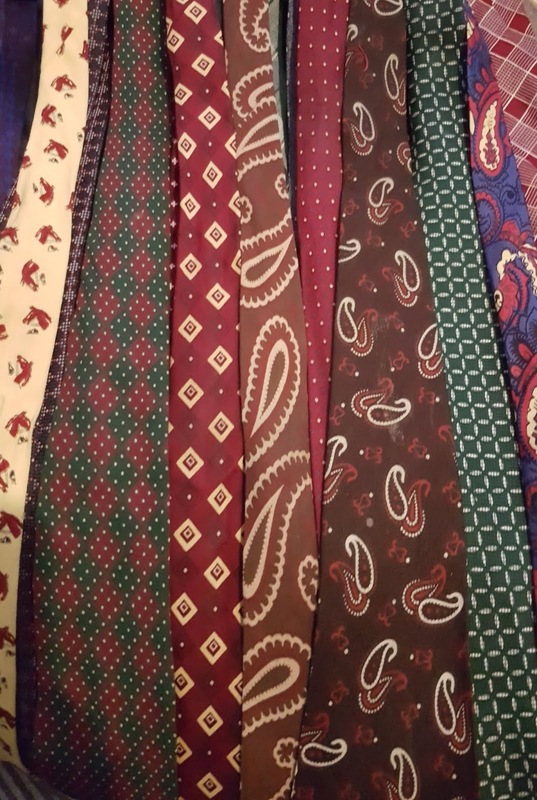 As well as the local connection, the ties are just so much fun to collect. 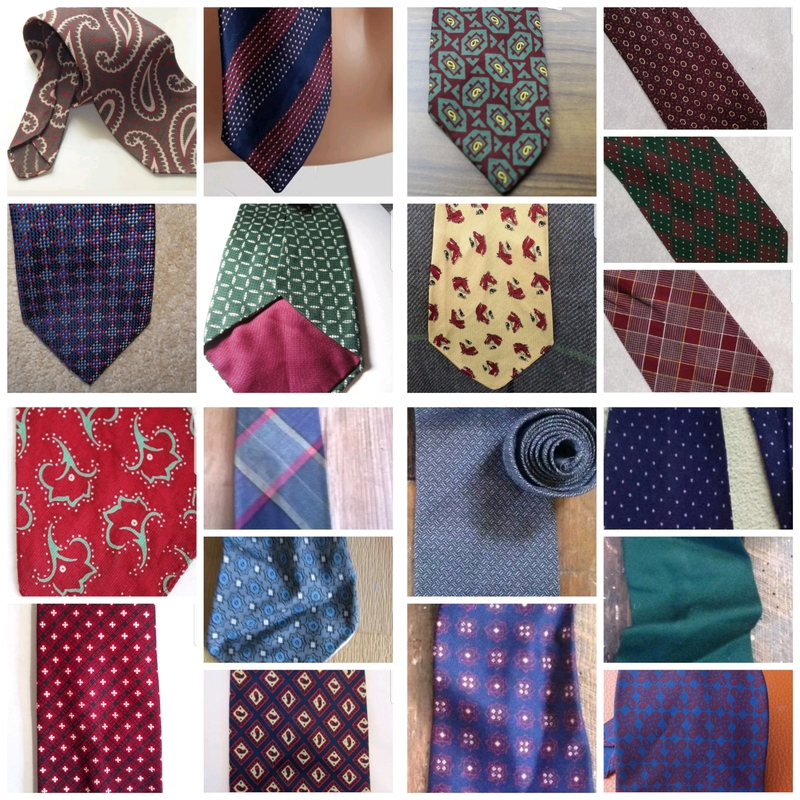 They produced thousands of different patterns from plain, paisley and plaid to spotty, sports motifs and stripes. 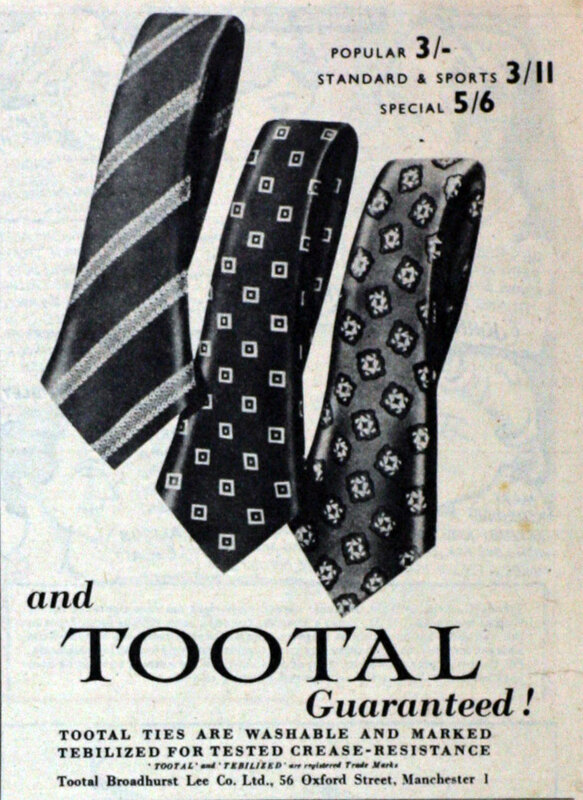 Tootal had a grading system for their ties. Initially it was popular, standard, sports and special. Around 1953, this was replaced by a colouring system - red, blue, green, black and grey. 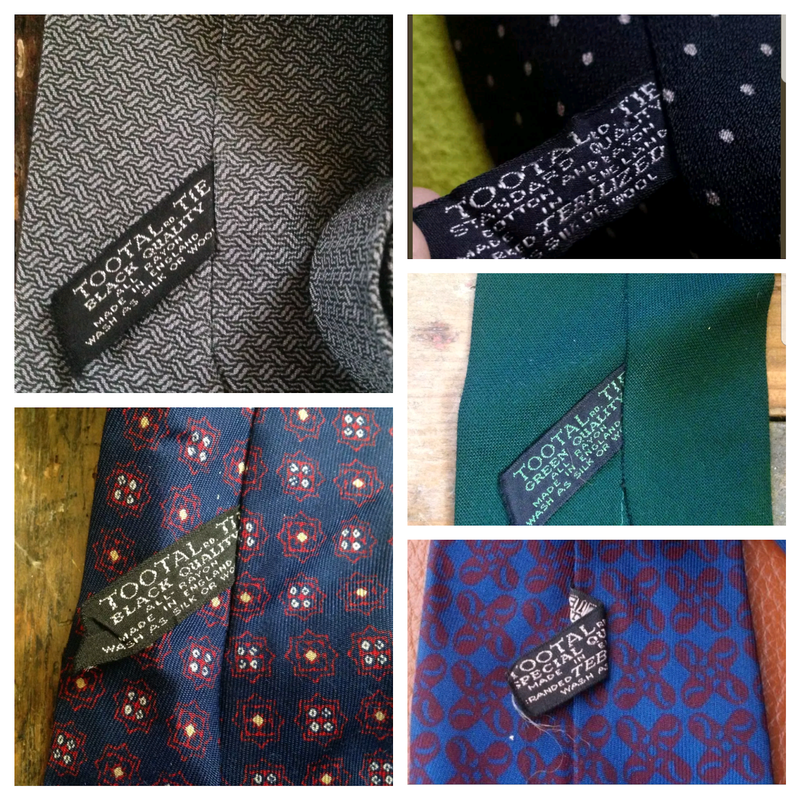 All ties are unlined except for their highest quality ranges which were special or later, black. The standard ties I have are quite thin. 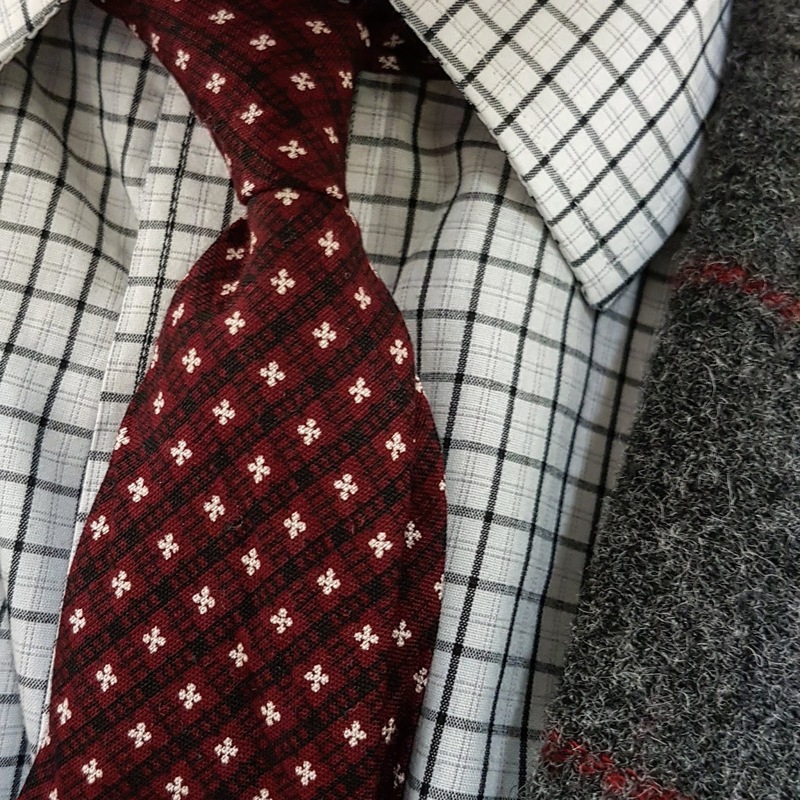 The change in grading system means they're fairly easy to broadly date so if you were to pick up a standard, popular, special or sports quality tie then you know it's pre-1953 and if it's a colour then it's dates from 1953 through to the 1960s. The grading system certainly appeal to my collecting nature - sort of a Panini football sticker album for grown-ups. I'm currently missing ties from the popular, blue and grey ranges. 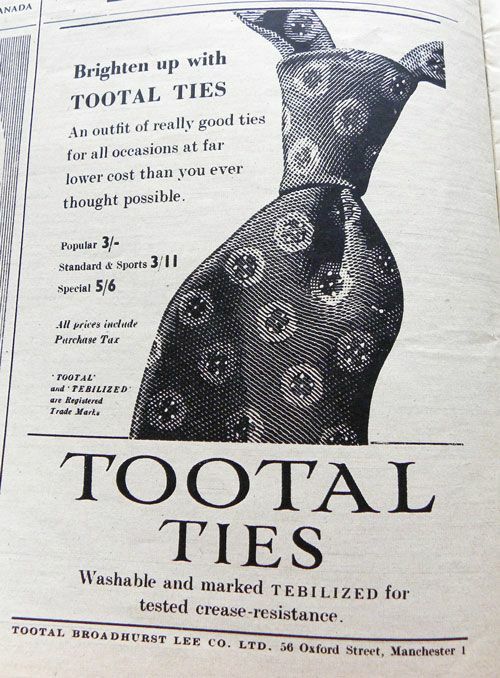 What I also like about Tootal ties is the fact that you can wash them. Made from cotton and rayon, it's a more practical alternative to delicate silk. So if you find a mucky one, simply dunk it, scrub it, dry it and it's as good as new! 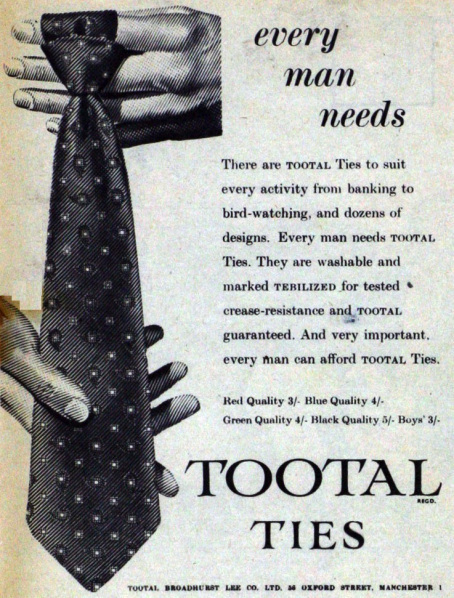 Of course, being vintage ties, the Tootal ties are shorter than modern ones. This is perfect now I'm wearing my trousers higher on my natural waist rather than on my hips. It is possible to grab a bargain. 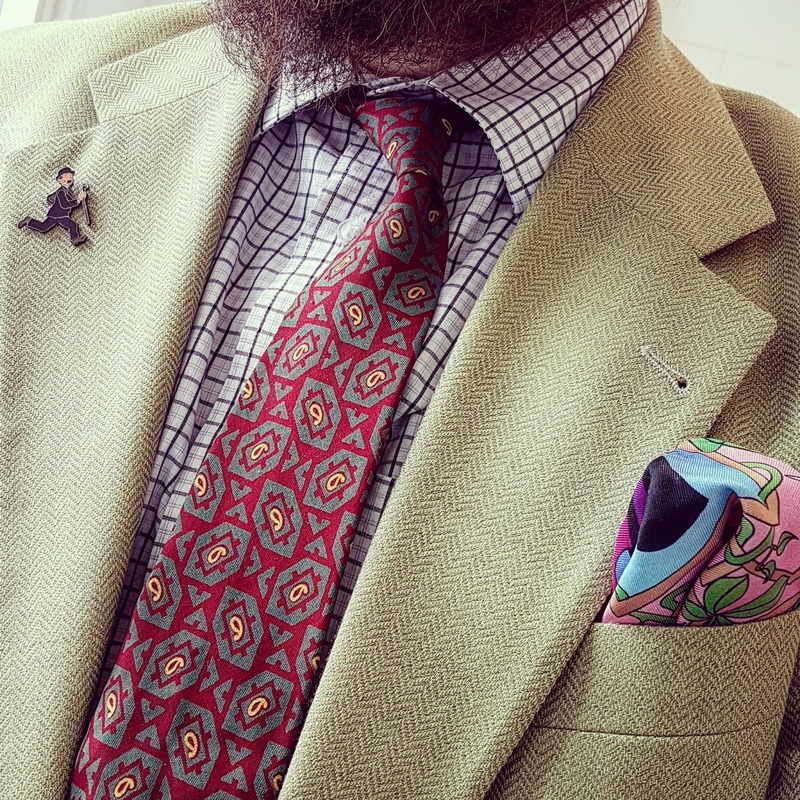 I've bought ties for 99p on Messrs E&Bay, although I have stretched to £15 for one I really wanted. Most were around the £6 or £7 mark. In time, I'd like to add some Tootal bow ties, scarves and cravats to my collection. I already have a couple of scarves. But for now, ties are my main focus. Those really are natty. Decorative without being loud. 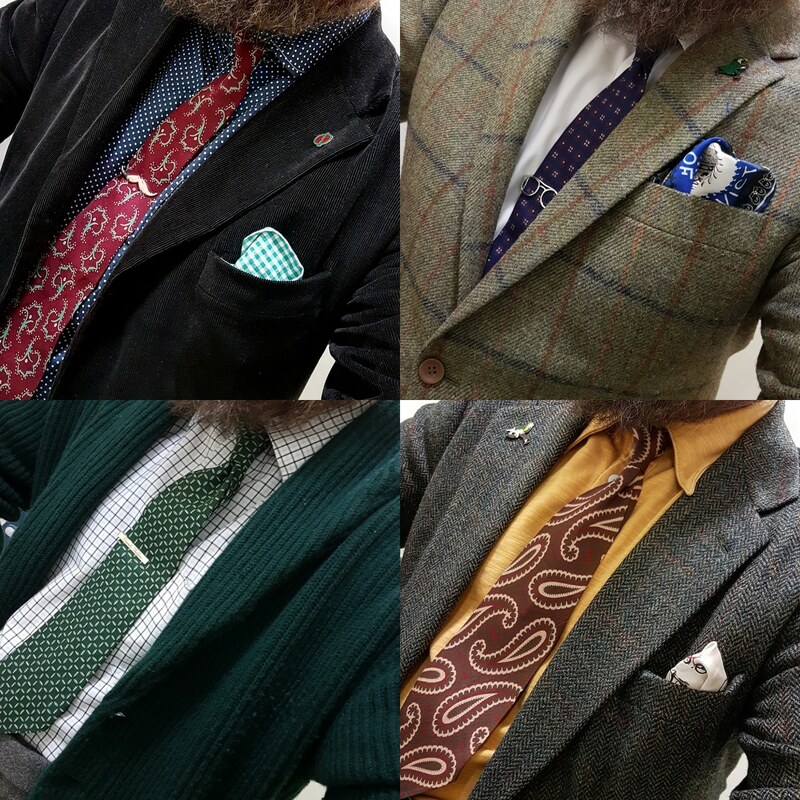 Fascinating, I see quite a few Tootal ties and scarves around, but I'm hopeless at dating gent's stuff. I love it when a brand uses an easy system!